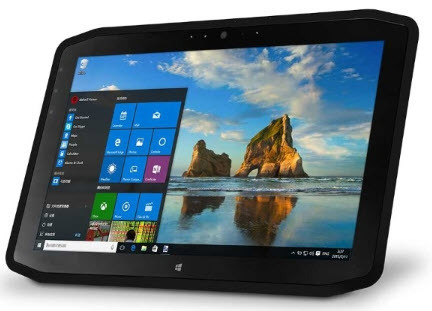 The XSLATE R12 is a next-generation tablet designed to be the only computer you’ll need. It is one of the fastest rugged tablets on the market today and features powerful 2-in-1 capabilities with a magnetically-attached Companion Keyboard that’s always on standby and never in the way. The XSLATE R12 is prepared to multi-task in demanding work environments with its highly responsive pen and touch input capabilities, magnetically-attached Companion Keyboard, adaptable form factor, and customized mounting options. The transformational 2-in-1 device gives you all the high-performance capabilities and complete computing functions you need in a single platform. You’ll have the right connectivity and ergonomics for a quick transition from the field to a full desktop computing experience. The XSLATE R12 offers more high-performance feature options than any tablet PC in its class without compromising aesthetics or portability. If you’re a multi-tasker who needs consistency – and options – you’ll get everything you need in one rugged tablet.